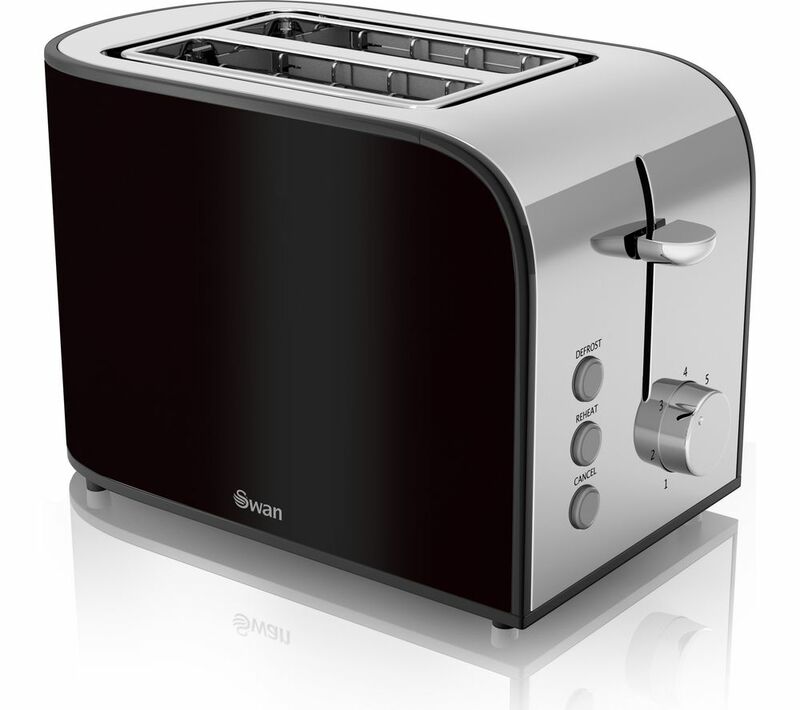 Start every day with delicious toast thanks to the Swan Townhouse ST17020BLKN 2-Slice Toaster. Everyone has different tastes - with electronic browning control you can easily get the perfect level of crunch. The useful defrost feature means even frozen bread will be tastily toasted in mere moments. Don't worry about touching the Townhouse when it's in use - cool touch walls protect your family from singed fingers, while a high lift feature means you can easily take the toast out when it's ready. An automatic shut off function makes sure the Swan doesn't use any more power unnecessarily – great for keeping your energy bills in check. Made with stainless steel and black design, the Townhouse looks great in your kitchen. The removable crumb tray helps to keep everything clean and tidy. It doesn’t take a normal slice of bread (not Warburtons). Very disappointing. I bought this so my 11year old grandson could safely make toast but he has to cut the top off the slice or risk burning himself pushing the bread down.